New Japanese screamo and before you ask, no I can't speak Japanese and I don't trust Google Translate, so you're going to have to figure the song-titles out for yourselves. 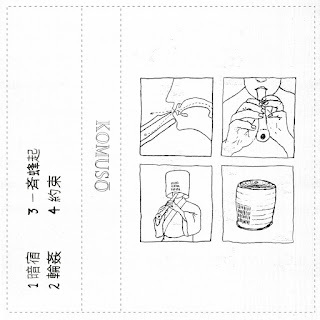 This is the debut EP from Tokyo's Komusō and after self-releasing it themselves digitally earlier in the year, the lovely people at Zegema Beach Records and Damn Fine Tapes released it on tape. You can't get anymore DIY than this! Even though I don’t feature as much Japanese music on the blog as I probably should, it’s still fascinating to me how a nation such as Japan can write and produce such interesting variants of the genres that grace this small part of the Interweb. 暗宿 reminds me of when I first heard both Blue Friend and Yumi. The spoken-word vocals that morph into powerful screams, backed up by the melodic guitars and thoughtful bass/percussion sums up the Asian style I think. It’s so uplifting. 輪姦 is dramatic and frantic all at the same time. It’s more akin to emo-violence with it’s faster and often off-kilter tempo. It’s short in length but there’s so much to take in all at the same time. The drumming on 一斉蜂起 is magnificent and thanks to the production/mastering of the EP, it’s clear too. There’s a really nice flow to the music and indeed the release as a whole, with sensitive quieter sections that lead into and follow the more violent passages. 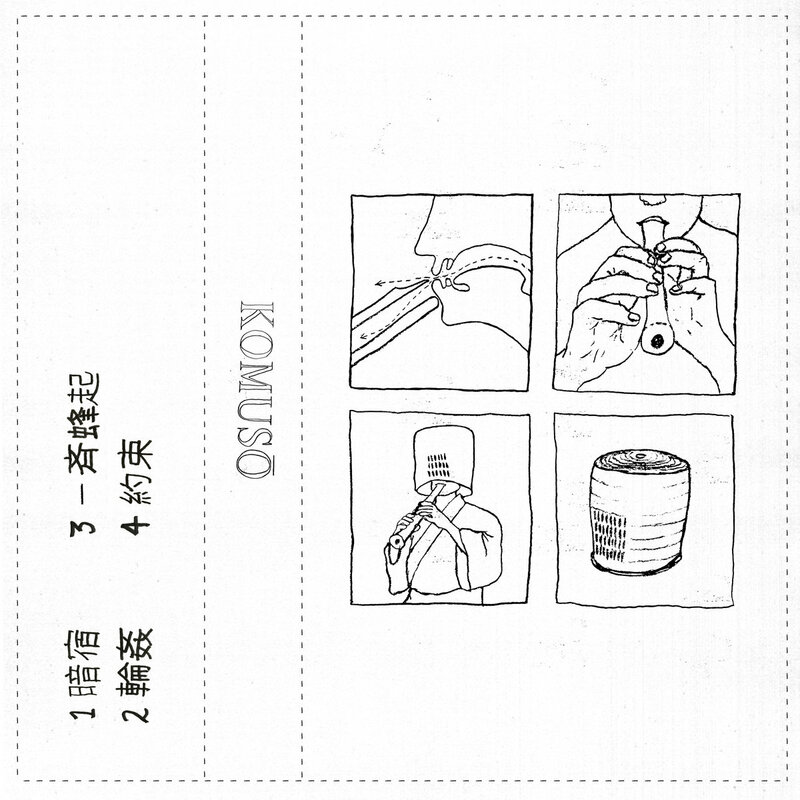 Komusō manages to avoid the truly chaotic and instead peppers their music with restraint. EP closer 約束 is the complete opposite to that though with it’s urgency and emotive screams. Four songs are all you get and to be honest they’re all you’re gonna need to become hooked on Komusō. So good! You can also pick copies up from the band if you happen to be in Japan.